The first thing that you need to do is purchasing a three ring binder on the store. Ensure that it is very hard, strong and sturdy. The color of the binder depends on your taste. But it will be great if it can match the wedding color. If you just want to enjoy a classic ambiance, you can choose the binder in white. The binder can come with inner pockets and clean plastic for the front and back part of the binder. You need to make the cover page of the binder more sentimental and personal with a unique cover page. You can use a colored piece of paper to write the name of the couple and wedding date. It will be nice if you can set some pre wedding pictures. The binder should be organized. It will be easy for you search a section inside the binder. You can set a divider, label or type tab to give several sections on binder. Some categories that you can have for the binder organization include the catering, vendors, wedding dresses, wedding invitation and guest list. In the vendor section, don’t forget to get space to hold on the business cards that you have. 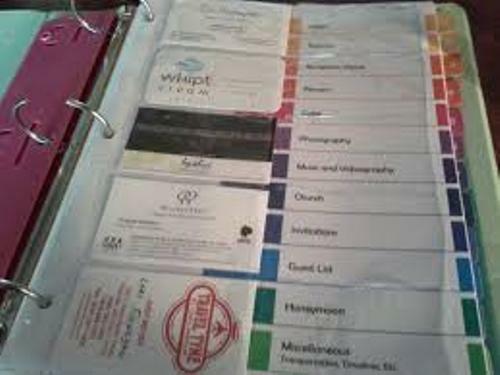 The zippered pouch pages are functional to hold on the receipts, invitation samples, color swatches, pens, contracts and pictures. 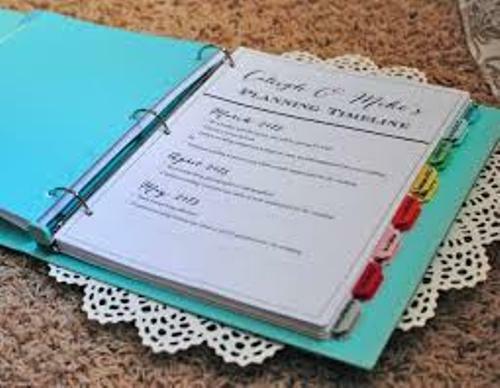 The checklist should be available in the binder just in case that you want to check the preparation of the wedding. This checklist should contain the budget details, vendor, table seating arrangement, address contract sheet and also honeymoon cost. Get more ideas on how to create a wedding budget checklist. The binder that you have should be kept carefully. You can take it when you are at home, in the car or even away from the home. You want to update the information on the binder as soon as possible. Therefore, you need to take it with you all of the time. 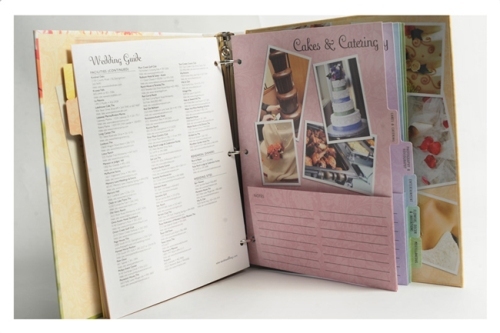 Do you have any ideas on how to create a wedding planning binder?